Professional Series 2007 TARPON NEUVISA 5.5M RIB (AD-55) with 75HP 2 stroke Evinrude engine (E75DPLSUM). 1 Previous Owner. Engine has only 124 hours. Single axle Indespension Trailer included with two new wheels and Bearing Buddies. Indespension Triplelock Unbraked Security Trailer Coupling Hitch Lock. Stainless steel A-Frame. Radar Deflector Tube. 2 Fishing Rod Holders. 2 new batteries with Isolator/Battery Switch. New Voltage and Trim gauges fitted. New nav lights installed. 22-litre fuel can. New water pump and spark plugs recently fitted. Tubes never punctured and in excellent condition. New ring lifebuoy fitted. 2 oars. 2 seater jockey seat with stainless steel back support. Includes recently purchased STRIKER™ Plus 4cv With GT20-TM transducer fishfinder worth €250. Very clean boat and engine. Technical Spec File attached (AD55 model highlighted). 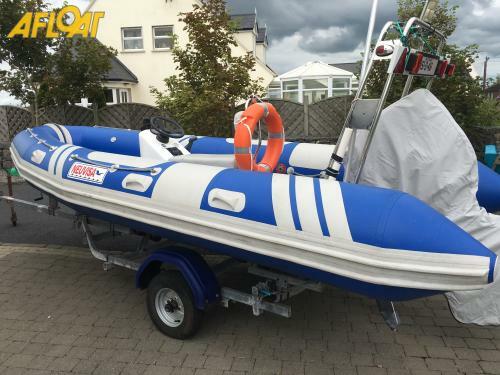 Easy boat to tow on Irish roads and manoeuvre into storage by hand. 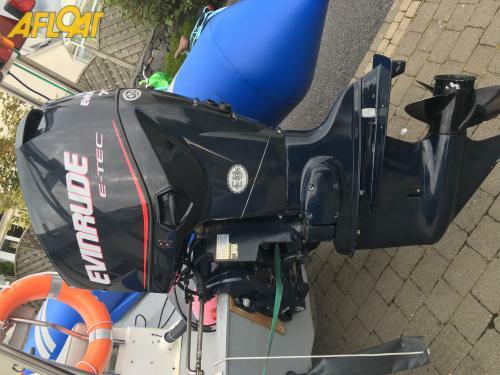 Evinrude Service manual, Engine diagnostic software and toolkit included. Full outboard cover to protect during storage. The boat is ready for immediate use.